Wadi Qelt is a desert valley that crosses the desert of Judea in Israel, reaching close to the dead sea. 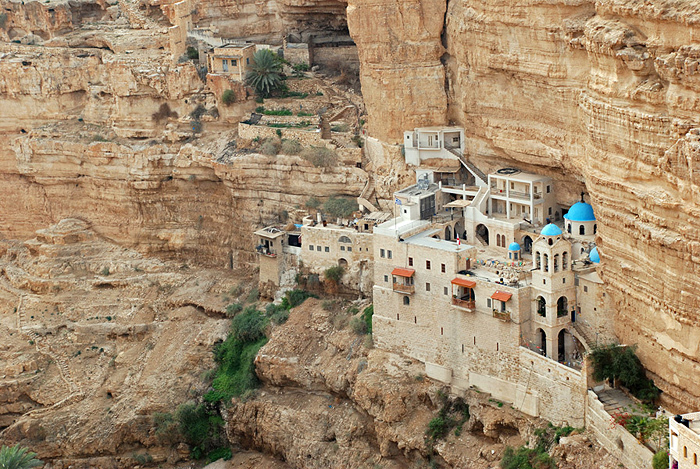 In it, a curious Monastery located on a cliff called Saint George is located among other historical ruins, and ancient synagogues. located there since the year 420, the monastery was built over a cave which buildings were added until in the year 600 monks set out for a long time, were massacred by the Persians. After centuries and varied attempts to reuse it, into the 19th century, the monastery was rebuilt by the Greek Orthodox Church, with its ancient gardens and Chapel, and since then, remains inhabited by monks of the same order. 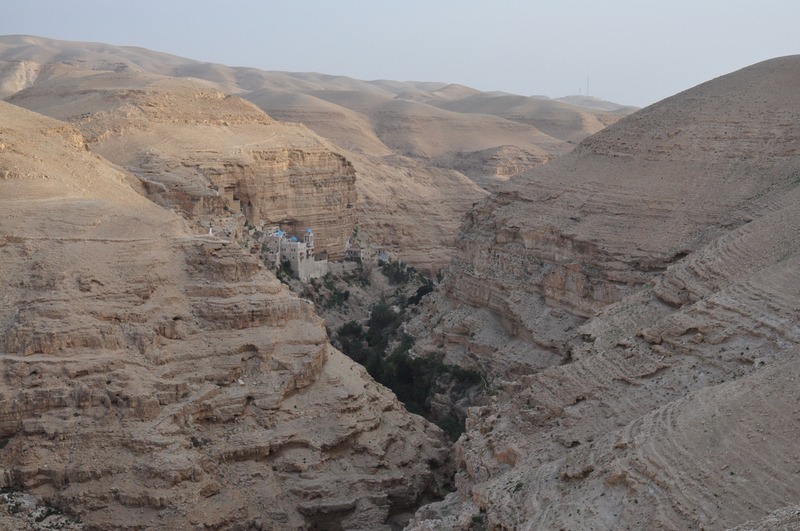 Accessible by a pedestrian bridge across the Valley of Wadi Qelt, is open to pilgrims and visitors in an area which in past decades was not free of conflict, something that has contributed to its diffusion and to receive a greater number of visitors. However, in the selection of photos (which is not abundant in terms of availability) you can see the visual beauty of the monastery and its surroundings. 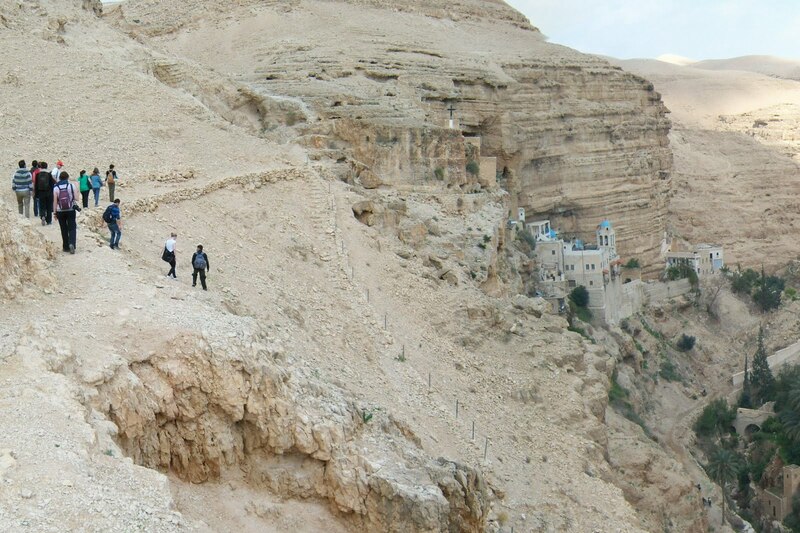 Is located only 20 kilometers from Jerusalem on the way to Jericho, come to him in a way fast only is possible via all-terrain vehicles. 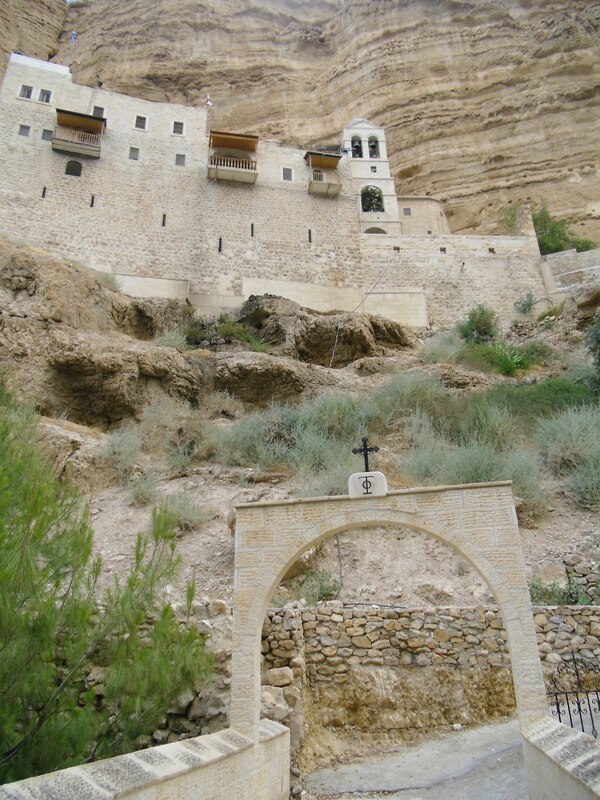 It is recommended to reach a hill facing the monastery where you get the best views and panoramic Valley.